Whether it’s joining people with life defining adventures or bringing together friends and family, our work makes it possible. And it takes great people – Project Managers, Accountants, Equipment Operators or IT Specialists – all working together with a common goal of growing one of Canada’s best airports. 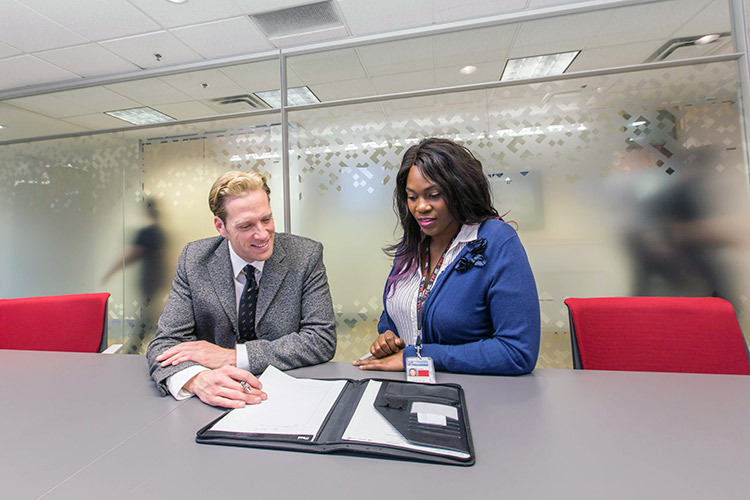 This business unit is focused on progressing all of the systems that impact the operations and guest experience at YYC. 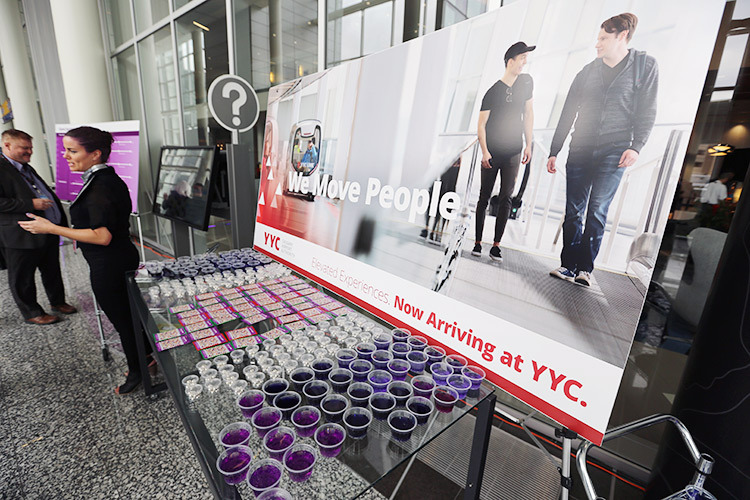 Working with our internal and external stakeholders, team members are responsible for ensuring that the various technological touch points and tools at YYC are the most effective for our guests and partners. Roles in this area include: technology infrastructure, airport systems, applications and development, IT project management, and IT operations. Our infrastructure team members are busy making a variety of improvements to the airport terminal. This may involve fixing roadways and taxiways, building new tenant spaces and even improving our baggage system. 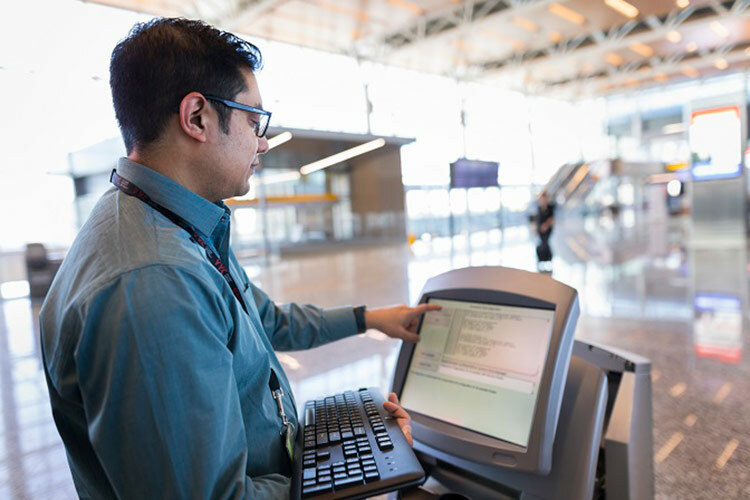 With an airport that spans almost 4 million square feet, it’s a bustling team that is working to improve the guest experience. You can join this team as a project manager, coordinator or leader of people. 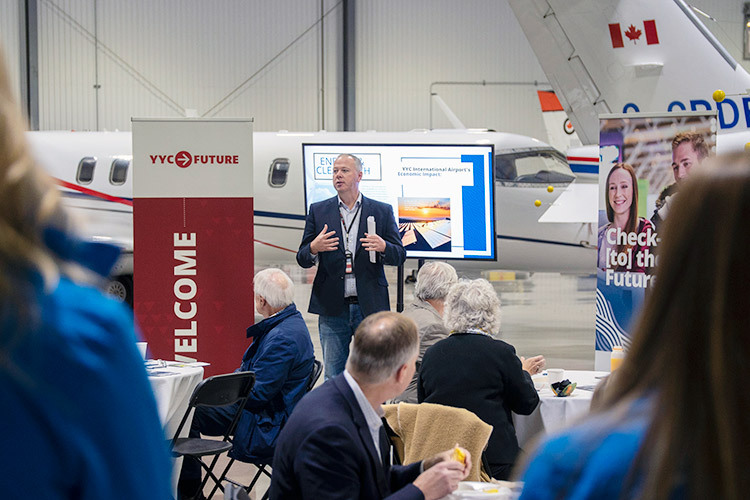 With millions of guests and hundreds of partners working out of YYC, there’s a fair amount of planning, strategy and number crunching required to ensure we can run a successful airport. 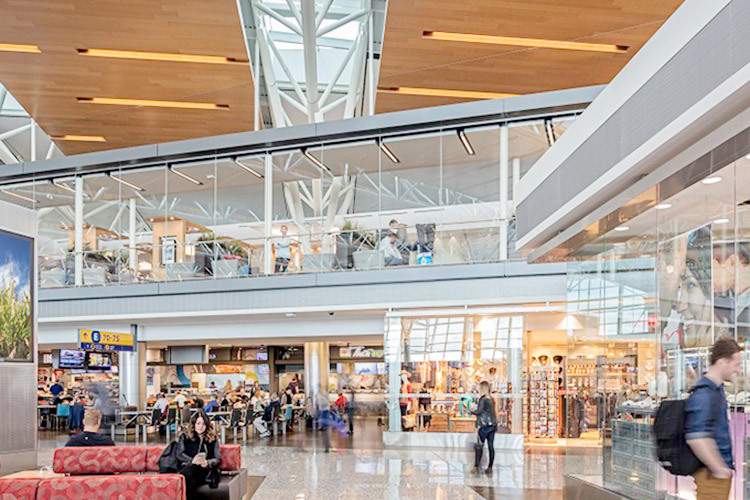 The department ensures financial prudence and planning through accounting, financing and strategy – all required to develop one of Canada’s busiest airports. Roles include accounting clerks, financial planners, business analysts, and airport planning specialists. 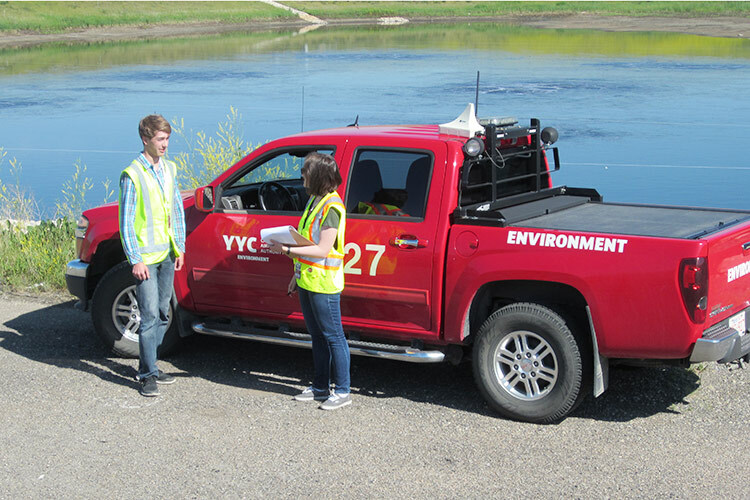 Ensuring guests can navigate the airport, working to build an extensive cargo and passenger route network, and enriching the YYC story are this team’s specialty. With a focus on elevating guest experiences through its White Hat Program, Wayfinding, Route Development, and Airport Engagement this is a team of creative story-tellers and brand enthusiasts. This team includes communications and marketing professionals, business development, designers and customer care specialists. Looking for a role that allows you to get into the heart of the action. This team ensure that the daily airport operations run smoothly. They touch every part of the guest experience by clearing the runways and taxiways, planning and resourcing gate activities, and ensuring the facilities are well maintained. Roles in this team include resource specialists, document specialists, airfield equipment operators, terminal operation specialists, and facility maintenance. If your passion is improving the employee experience, this is the department for you. 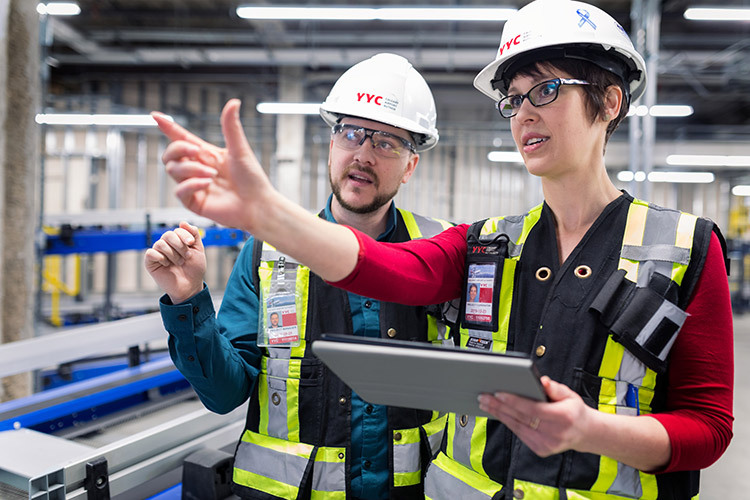 Our HR Division is responsible for ensuring we have the right programs in place to attract, retain and develop our greatest resource – our employees. This group of passionate individuals are responsible for creating remarkable employee experiences managing everything from payroll, recruitment, training and learning and development. A primary focus for all airports is safety and compliance. This team plays an important role in fulfilling our mandate of running a safe, secure and efficient operation. These relationship builders work with our employees, partners and contractors in the terminal and on the airfield to ensure we meet and exceed our regulatory requirement. This team is responsible for generating revenue through commercial and land development. They are on the search for new shopping and dining options that meet the needs of our 17 million guests, in addition to generating revenue through a variety of parking and ground transportation options. Our land team are strategic partners in developing everything from on airport retail to cargo and logistics on over 5000 acres of land.